Before, the Gear Page was just the leftovers of things that weren't guitars. This time around, since I'm back in a bar band, I'm going to divide this section into 2: what I'll use playing out and what I use to record and then maybe the leftovers at the bottom. I had to upgrade my stuff when I joined the band, Ghost Note, in the beginning of 2018. 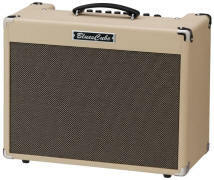 I started practicing with the guys, using my old VoX ValveTronix, and realized quickly, I can't keep using this amp. Sorry, Vox. I'm not a big Amp Guy anyways and I haven't recorded an amp in years so an amp was never high on the priority list. But I didn't want the band to sound awful, so after a bunch of YouTube demos, I went with a Roland BluesCube Stage (the 60W one). Its main selling features: volume, weight and being clean. I liked it so much, I got the BluesCube Hot(30w) for home and a backup. Everyone should have a tuner. Makes sense. Not as intuitive as the HR-2 that I used to have but it still does the same thing. Lately, I've been using the Bend settings. Kinda neat. 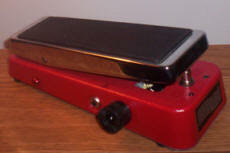 The good old Vox wah. Wahs aren't usually built to last but this one's been pretty good to me over the years. I used to take a Maestro Phaser out to gigs but it's too noisy and rare now. I replaced it with the BOSS and if you set it for a 4-stage phaser and no resonance, it comes pretty close to it. The benchmark. For me, nothing beats the DS-1. I've tried other distortion pedals but I always come back to the DS-1. I've been using the same Digital Delay for over 20 years now. This even outlasted my first DS-1. I used to take out a Heil Talbox but since I got the BluesCube (no Speaker Out) I picked up the MXR. It goes in your chain like a regular pedal. After using it, I wished I had it one years ago. It's at the very end of the chain since it's not too loud on its own. The DS-1 is good for a volume boost. At first, I didn't like this as much as the 2488 that I used for about 6 or 7 years before I got this but I'm used to it. I'll never record on a PC. After working with PCs for years, if one hasn't crashed, it will. 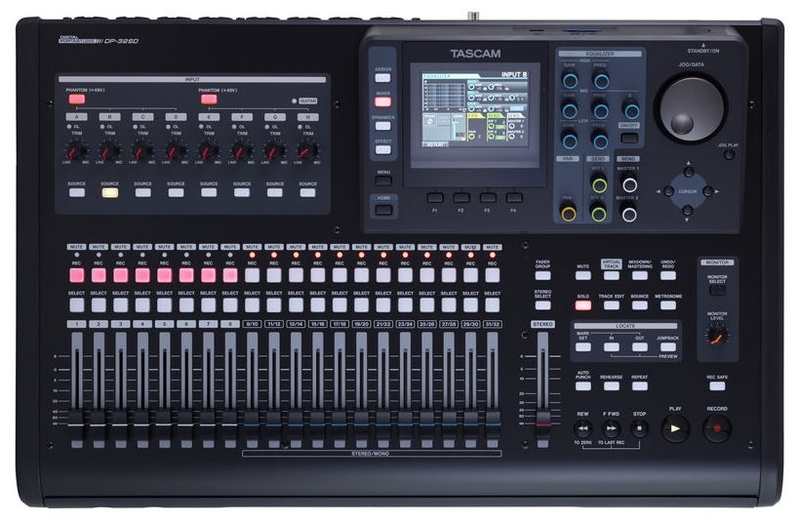 I resisted for years mixing in a PC too but since the DP32 kind of forces you to use a DAW, I got used to it, and now I wonder how I ever mixed just riding the faders. The DP32 is probably the best thing you can buy these days, if you like PortaStudios, and they're under a grand. Totally worth it. And you can record on the couch watching the game. If you're going to do this kind of thing, getting a set of decent monitors will help your mix. 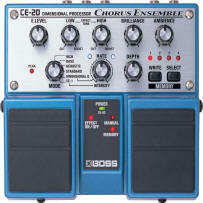 I do use the external effects send on the DP32, and the main effect I use with it is the BOSS CE-20 Chorus Ensemble which is one of my favourite pedals. Too made they don't make them anymore. I don't use it on the guitar into an amp, but I'll use it on a guitar track, or sometimes bass too, with the CE-1 setting as well as the Dimension D settings just to space things out in the mix. I picked up a BOSS WazaCraft CE-2w Chorus just for the DP32 too, even though I have used it with just a guitar. Maybe it's me but I prefer digital when it comes to chorusing. If find it more balanced whereas analog I find a little left channel heavy. I have an Alesis QuadrVerb that's basically out for show. 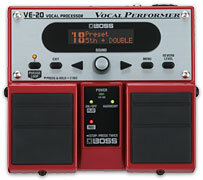 My life-saver is the BOSS VE-20 Vocal Perfromer. I would have went all instrumental years ago if I didn't have this pedal. Sorry, most people, but I'm going to keep doing vocals. For best results, I should be using it though the Effects Loop, but sometimes I get lazy, use it while recording a guide and then end up keeping the guide. Since it's kind-of an effect, my other life-saver has been my SansAmp TRI-A.C. I haven't mic'd an amp since I bought it almost 10 years ago, and just like every other amp sim with multiple options, once you find the one setting you like, that's it. And I treat it like a clean amp and all of the pedals go into it, but lately if it's a clean guitar, I might bump up the gain a bit until the volume increases just a bit. OK, one more lifesaver: Roland V drums. I used to have a Korg S3 that I would play the pads with my fingers. I did that for the longest time but a friend of mine talked me into getting an electronic kit. I figured I'd spend a bit more and get one decent kit that would last me. So far, so good. And I always wanted to learn how to play drums. 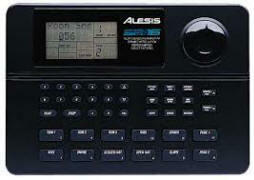 Alesis Drum Machine. Overall, pretty great. It's mainly used as a click track. I have a hard time using a metronome. I find there's too much space inbetween a beat and that it throws me off. The only thing I don't like about the Alesis is changing the time signature. For that, I have a Korg Metronome, still throws me off but now it throws me off in 3/4 time. I'm mainly pro-distortion over Overdrive, mainly because I keep the amp/SansAmp clean. Overdrive for a clean amp really just cuts the highs and lows off but I've had 2 over the years, one being a BOSS OD-2 Overdrive/Distortion that didn't seem to work well with an adapter while the battery was still in the unit so I gave it away. The most recent pedal I bought was the BOSS BD-2 Blues Driver. I hate the name since Blues isn't a timbre but everyone seems to have it in their pedal board. I haven't given it a good test yet. At the time of writing, I haven't even had it a whole week. For distortion, the BOSS DS-1 Distortion can't be beat. I even picked up the black one. Same pedal, but it just looks a bit cooler. I also have the BOSS DA-2 Adaptive Distortion which I absolutely love. More gain than the DS-1 but rolling the guitar volume knob down doesn't clean up all that great since the pedal is basically a compressor/distortion pedal. You can hear the compression with the headphones on but it still sounds great. I'm currently borrowing a Godzilla pedal and it's kinda crap. I can't wait to give it back. And I grabbed a BOSS FDR-1 Fender Deluxe Reverb pedal, at the time, thinking it was going to be like a SansAmp but it wasn't. Even on the BOSS site, this pedal wound up in the Overdrive/Distortion section so that's why I'm putting it here. I haven't used it in years. I have one of each. For a digital delay, I'm still using my first BOSS DD-3 Digital Delay and I haven't bothered trying anything else out. For reverb, I was lucky enough to pickup a BOSS FRV-1 Fender Reverb pedal while they were available. It sat for the longest time on the shelf doing nothing until a couple of years ago. I love it now and I can't believe they're going for $400 used. My first phaser that I used (technically it isn't even mine but I think after almost 30 years, I could use my Squatter's Rights on it) is a Maestro Phaser, complete with Balls and Speed wheels. That is and will always be my favourite phaser. I used to take it to the gigs too and it's taken me years to find a suitable replacement (the BOSS PH-3 Super Shifter). I have two Dunlop pedals: a RotoVibe and the MXR VariPhase. I got lucky on the VariPhase since it's one of the ones where the footpedal stays where you put it. The RotoVibe, which seemed to be a lot cheaper relative to today, is one of my favourite pedals that I own. I'm currently borrowing a Fulltone Univibe but I still like the RotoVibe more. I don't own a Flanger and I only started getting into Choruses a couple of years ago. A lot of getting into them was trying to find a Chorus that sounds like a Roland Jazz Chorus amp. Here's a time saver: if you're looking for that sound, buy the amp. A chorus alone won't get you that sound. A chorus with that amp will. Half of the sound is the amp itself. It took a lot of pedals for that to dawn on me. I started with BOSS pedals. Makes sense. First was the CH-1 Super Chorus, then the CE-5 Chorus Ensemble which is really good since you can cut high and low, then came the CE-20 Chorus Ensemble, and finally the CE-2w Chorus. Even on its CE-1 setting, it does not sound like a JC and that's when it clicked. The other half of the magic sound is the amp. It's rare I use chorus when playing the guitar. It's mainly for the effects loop in the DP32 for space or kinda-sorta doubling. 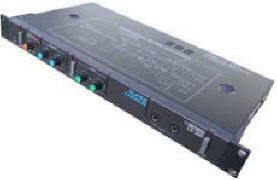 And I also managed to scoop a BOSS CE-300 Super Chorus rack unit. It's neat because you can mute the dry signal. Up until last year, I had a Line6 Roto Machine as a Leslie sim and it was the best. It died, and for Christmas, I replaced it with an Electro Harmonix LesterK pedal. It's not as versitile as the Line6 but it's a good replacement. I love wahs, except they're not built to last. I don't know how many Dunlop wahs I went through since I started playing but my latest VOX Clyde McCoy Wah has been pretty good for the last 10 or 12 years. And I do love an AutoWah, or Envelope Filter, Dynamic Filter, whatever they want to call them. I'm using the BOSS AW-3 Dynamic Wah now since my AW-2 stopped working properly (if the rate was at zero, it would still try and wah but at a really slow rate). It's like the Harmonist pedal - I haven't sat down and had a really good look at it and there's almost too many options. 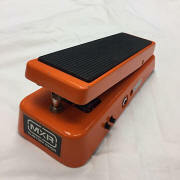 And, as I mentioned above, I'm using an MXR Talkbox now. So much more convinient than the Heil excpet the MXR's adapter's cord is too short. Only two to mention. I still use the OC-2 quite regularly since I bought it 20 years ago. I bought it just to try it and I love it. If I lost everything, this would be on the priority replace list. I don't know why but I love this pedal. I also have a PS-6, which is the HR-3 replacement. Again, lots of options. The only thing I didn't like was the new Harmony knob. It didn't follow the HR-3's logical steps and the octave below isn't as good as the OC-2's. 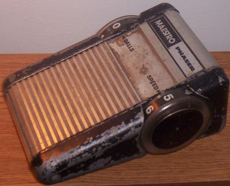 A BOSS TU-2 Chromatic Tuner. Everyone should have a tuner. A BOSS AC-3 Acoustic Simulator, probably the most misunderstood pedal by noobs. For what it is, it's great. It makes your guitar sound like an acoustic with a pickup, plugged into a PA. It does not make your electric magically sound like a Taylor. Good for background strumming in a track, or some kind of percussive rhythm in case you lost your shakers. A BOSS Bass Limiter that I use for both guitar and bass. I used to have a CS-3 but I gave it to my brother, and now I'm trying out his SP Compressor which I really like. Maybe he'll forget I have it. I got a BBE compressor from Musician's Friend's Stupid Deal of the Day which is OK. I also have a RNC (Really Nice Compressor) but I just don't use it just because of how my set up is. They may be a bit pricey but I have no regerts buying Electro Harmonix Pedals. 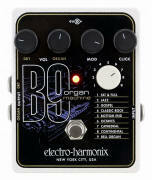 What hooked me was the B9 pedal and I've been a good customer ever since. From there, I got the C9 (another organ), Key9 (electric piano), Mel9 (Mellotron) and most recently, their LesterK pedal. Anyways, I'm not coordinated enough to learn how to play keyboards so these pedals are a godsend. And yes, the B9/C9 with the LesterK sounds excellent together. So this is what keeps me home at night and off the streets.